The Internet in Cuba: Limited pilot testing of the ALBA-1 cable? Limited pilot testing of the ALBA-1 cable? Muchas Gracias sent us a link to an article in which Jorge Arreaza, Venezuelan minister of Science and Technology says the cable is operational, but not saying what it was being used for (http://www.diariodecuba.com/cuba/11252-venezuela-asegura-que-el-cable-de-internet-esta-absolutamente-operativo). I have also heard an unconfirmed report that the cable is operational and being used in some Venezuelan government offices to access databases they have stored in Cuba. That could be a pilot test for the ALBA-1 link. That would be consistent with the Renesys data we just posted (http://laredcubana.blogspot.com/2012/05/hard-data-on-idle-alba-1-undersea-cable.html), but it would not be Internet connectivity. Venezuela storing their data in Cuba reminds me of the International Center for Scientific and Technical Information in Moscow (http://www.icsti.su/portal/eng/index.php). 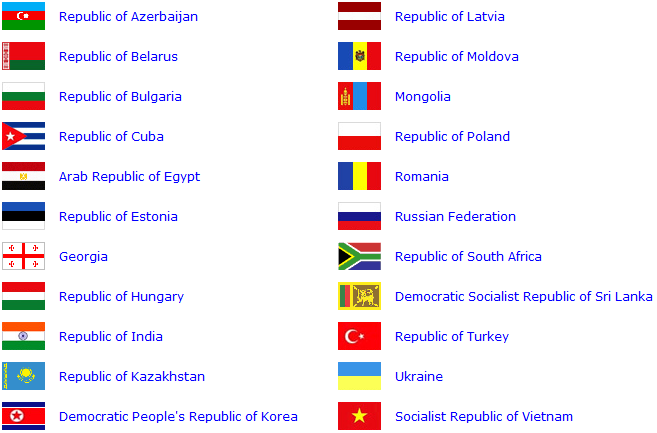 During the pre-Internet days, they provided centralized database access for all of the communist nations. Today they are on the Internet, serving a different group of nations. I just came across this 2011 article may have been the source of the rumor that early tests of the undersea cable were in support of database applications Cuba runs for the Venezuelan government. The article asserts that Albet Engineering and Systems, Inc. runs the citizen ID application for the government of Venezuela, raising concern of election fraud and other secret manipulation. It also draws attention to the link between Albet and the University of Information Sciences (UCI). Albet owns the commercial rights to all products and services offered by the UCI -- they seem to be the marketing arm for the applications that UCI students and faculty develop. (We discussed UCI in some detail in a 2011 report. They emphasize practical work on projects -- making students a source of low-cost labor for Albet). I just found this old article -- has there been more on this story or other Albet/UCI projects? It's been published an article in El Nuevo Herald where they make reference to this blog and mention two interesting points: the use of the cable for strategic communications between Cuba and Venezuela governments and the possible influence of the US embargo on this specific project. I think the first one is not far from reality, it's of public knowledge that the Venezuelan government has awarded a Cuban company with a contract to provide a smart identification system. I've also heard that they are storing confidential information in Cuba (and it's also mentioned in the article). The second one it's questionable, as far as I know CIMEX imports and sells all kind of network gear (US vendors too) in Cuba. I just found a price list including Cisco devices among others. Moreover there are some foreign companies which also import high tech comm equipment directly into the country, which can also be used as a possible workaround to the limitations the embargo imposes. Thanks for the links. It looks like ALBET is the sales organization for UCI projects (http://www.ecured.cu/index.php/ALBET_S.A). That is consistent with what you said earlier -- that UCI students are working on Cuba-Venezuela projects. It seems that this identification project is using the cable. Perhaps they store the personal ID information in Cuba and access it from Venezuela. I had said earler that Cuba would need trained network administrators if it were to build modern domestic infrastructure to complement the cable. In this case, they are developing and running an application for the Venezuelan government. I hope they are also working on Cuban infrastructure -- Cuba needs that if they are to participate in the Internet. The second point you make is also interesting. When I was in Cuba, you could computers, printers and other equipment from US manufacturers. On one trip I even saw them in retail stores. They were available in Cuba, but the prices were high. If the embargo did not exist, they could have been imported directly from the US and they would have cost less. As you point out, the embargo is less of a problem today than it was before. Cisco has competitors, including Chinese companies like Huawai, that are major suppliers of communication infrastructure equipment (and expertise). (If you scan the price list you found, I will post it -- it would be interesting to compare prices for US equipment in Cuba with prices elsewhere). These price lists are not up to date. We cannot reach http://tecun.cimex.com.cu from outside. You are right -- those laptops are from several years ago. Note that you can post comments anonymously. Just uploaded the latest available (on the tecun website) to Scribd. As you can see it's from last year. I've heard that they are cash-strapped, also the burocracy is seriously impacting the purchase/importation process. There is in place a very centralized model for the authorization of any expenditure in strong currencies. At the end this is kind of a vicious circle, no investment-no revenue-no profit. Those prices are over a year old, but they are still quite high compared to what we pay in the US. I agree that lack of funds seems like it would be a major cause for the apparent lack of domestic infrastructure to complement the cable (assuming they want to roll it out). On the other hand, it is hard to believe that they would invest $70 million in a cable without planning for the equipment and people needed to utilize it. Prices in Cuba do not get updated frequently, it is very likely that those are the current prices anyway. Also in the Cuban system there are no "sales", "boxing days" and the likes, in general a price of a product stays forever once that it is set, until the product is sold or rotten. regarding the cable, my well placed telecom sources say the cable has no termination yet in Venezuela, contrary to recent reports that it's connected. This is the result of corruption and incompetence. Fully expect cable to go operational in future.